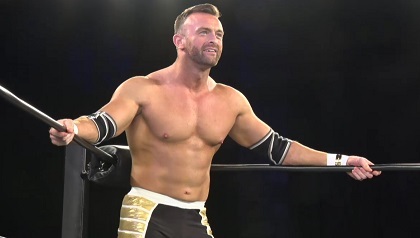 Nick Aldis is so handsome and muscular. And he's a champ! So nothing is sweeter than watching a reigning alpha-male getting whipped around like a wuss. He is perfect, but he is a heel here. I usually prefer him as a hero, but I enjoyed this match.